A brilliantly imagined, lavish, and transporting novel of a young woman's search for the truth about her family's mythic past. . .
Meg Mabry has spent her life with her back turned to her legendary family legacy. In the 1890s her great-grandmother Hannah Bass composed starkly revealing diaries of her life on the southwestern frontier, first as a Harvey Girl at the glamorous Montezuma Resort in New Mexico and later as the wife of brilliant, and often-absent, railway engineer Eliott Bass. A generation later, Hannah's daughter, Claudia Bass, renowned historian known to all as Bassie, staked her academic career and reputation on these vibrant accounts, editing and publishing them to great acclaim. Thanks to the journals and the to the industry Bassie created around them, Hannah would forever be one of the most romantic and famous figures of southwestern history. Meg, however–Bassie's granddaughter–finds the family lore oppressive. When an excavation on the old Bass family property beckons a now-elderly and viper-tongued Bassie back to the fabled land of her childhood, Meg only grudgingly consents to accompany her. Determined not to live under the shadow of her ancestry, Meg has never even read the journals. But when an unexpected discovery casts doubt on the history recorded in their pages and harbored in Bassie's memories, Meg finally succumbs to the allure of her great-grandmother's story and ventures even deeper into Hannah's life to unlock the mystery at the journal's core. 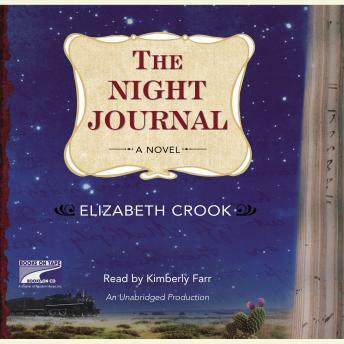 THE NIGHT JOURNAL is an enthralling tale in which native ruins, majestic desert hotels, and the hardship and boldness of frontier life fit seamlessly with a modern-day story of coming to terms with loss, family secrets, and shattering truths that lie shrouded in memory. This is the second time I've read this book. Loved it the second time around as the first. This book will be my pick for book club.